Nike, Inc. has a history of developing innovative and new impact protection systems. 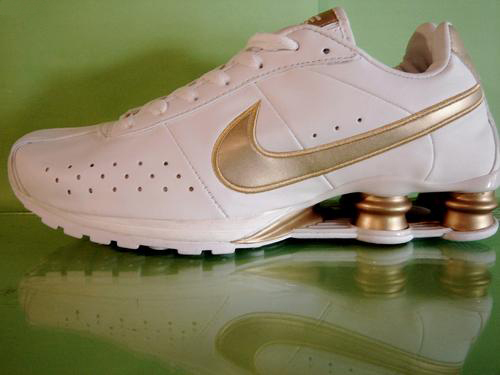 Starting with the Waffle Trainer to the Shox columns developed in 2001, certain technologies can only be found in genuine Nike shoes. *Physiology: how the body works specially under stress. *Sensory/Perception: the evaluation of how a product works, feels and wears. 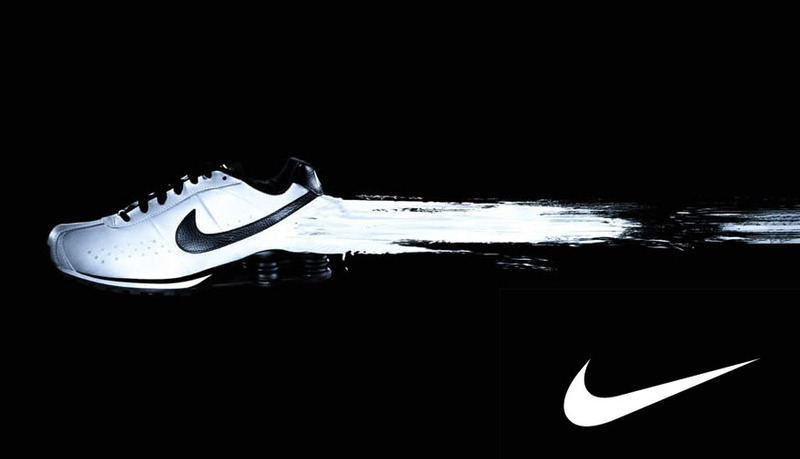 Nike products undergo a rigorous testing process that covers a wide variety of testing surfaces (regular basketball hardwood, soccer turf, running tracks and endless outdoor testing on various terrains), and four important factors are taking into account, geography, gender, age and skill level. All of this combined with the results of about a dozen other tests are used to develop new, user-friendly products. 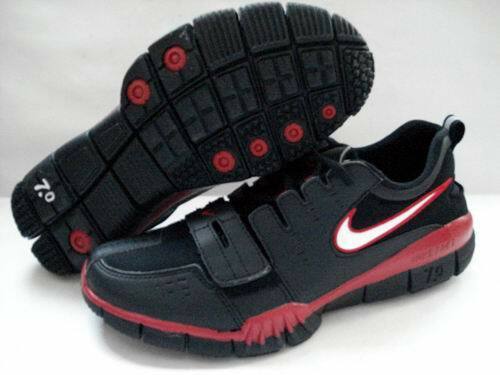 Nike employs a variety of cushioning systems in their products. 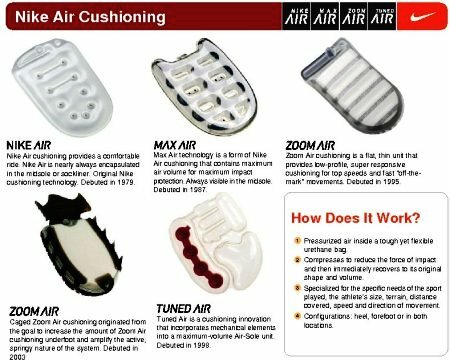 Cushioning systems need to reduce shock, distribute pressure, protect from impact and offer comfort. 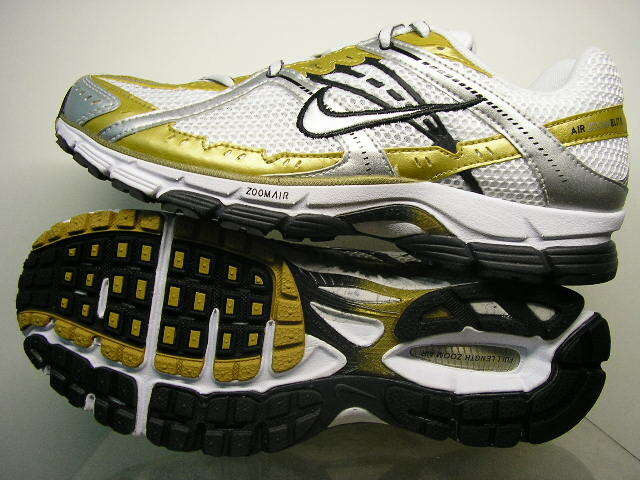 The four cushioning systems pioneered and sold by Nike are Nike Air, Nike Air Max, Nike Air Zoom, and Nike Shox. 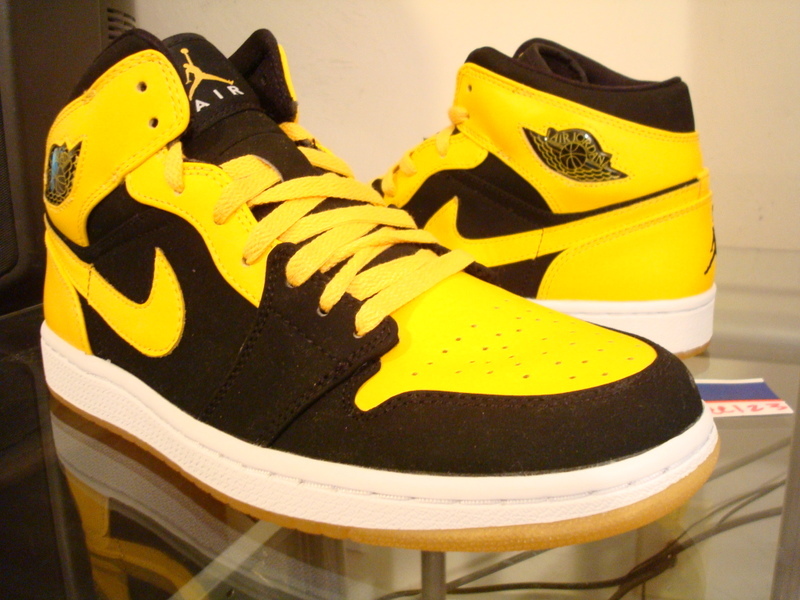 Nike Air was the first air technology developed at Nike, and it changed the way people thought about cushioning. It remains a standard for impact protection more than 20 years after its creation. The Nike Air made from pressurized gas inside a tough yet flexible urethane plastic capsule. The large molecules of gas prevent it from escaping the bag. The Air-Sole units are encapsulated in the midsole beneath the heel, forefoot, or in both locations depending on the shoe and the needs of the athlete for whom the shoe was designed. The Air-Sole works to cushion the foot by compressing and reduces the force of the impact and then immediately recovers its original shape, ready for the next impact. Nike Max Air, the maximum in impact cushioning, is designed to take brutal, repetitive impacts and minimize their effects on the body and your performance. Air Max units are made through a technique called “blow-molding”, allowing for the greatest volume of Nike Air without weakening the Air-Sole unit. Duel-pressure cushioning addresses the need for protection and rear foot stability. 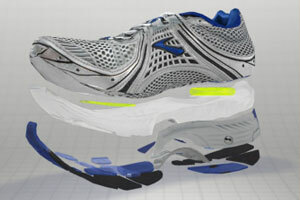 The hallmark of the Air Max technology is a visible air unit in the heel. The Air Max provides athletes with full-length impact protection. This lightweight, super-responsive, and ultra thin Air unit brings the foot closer to the ground for the ultimate feel and great maneuverability. Used primarily for basketball shoes, shoes built with the Air Zoom tend to be light and responsive with excellent “ground-feel”. The Air Zoom unit starts with two fabric layers connected by thousands of vertical fibers, each attached at both ends to a fabric layer. These fibers are then surrounded with pressurized gas inside a Nike Air unit. While the pressurized air exerts and outward force, like a full balloon, the fibers are placed in tension and exert an opposing inward force to keep the air bag from popping or bulging. On impact, the air bag compresses to relieve the tension on the fibers. After impact, the pressurize gas expands the air bag and places tension on those fibers. The fibers compress on impact and then spring back immediately. The advantage to the Air Zoom is that it is incredibly thin and light, but it provides excellent impact cushioning while allowing the wearer to feel the surface he or she is in. Nike Sphere React fabric is built to breathe. When an athlete sweats, this highly breathable fabric opens up, increasing airflow across the skin and reducing cling. The result is a cooling effect on the skin that allows athletes to perform in greater comfort. With three different Sphere React fabrics to suit your workout style, you’ll stay cool, dry and protected from the elements. This double-brushed microfiber fleece retains energy and resists heat loss. It provides maximum insulation from cold and wind with minimal weight and bulk, and is ideal for any cold weather activities that require insulation. Can be worn alone or as part of a multi-layering system. This high-performance microfiber polyester fabric actually pulls sweat away from the body and transports it to the fabric surface – where it evaporates and leaves the skin cool and dry. It’s all you need for hot days, and a critical base layer for cold days. FlyWire, a system that uses powerful Vectran ™ fibre cables to support the foot. millimeters of movement with each stride. FlyWire cables wrap around your foot much like tendons. Any extra material is only there to keep out rocks and dirt. It’s an innovation that allows Nike designers to cut shoe weight by up to 50%. performance multifilament yarn spun from liquid crystal polymer. Pound for pound, it’s five times stronger than steel yet is extremely flexible. Designer Kevin Hoffer found himself looking at images of astronauts bouncing around in space and wanted to recreate this feeling in a shoe. 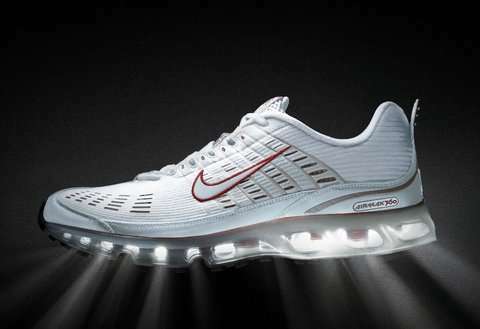 So he turned to the aerospace industry to help develop Nike’s lightest, most responsive cushioning material ever. reducing impact on fragile bones. LunarLite Foam cushioning is compared to Phylon, Nike’s next lightest performance foam.